Enjoy your drink with the Shield Logo Black Mug. This ceramic mug features the iconic Shield logo in both black and white! 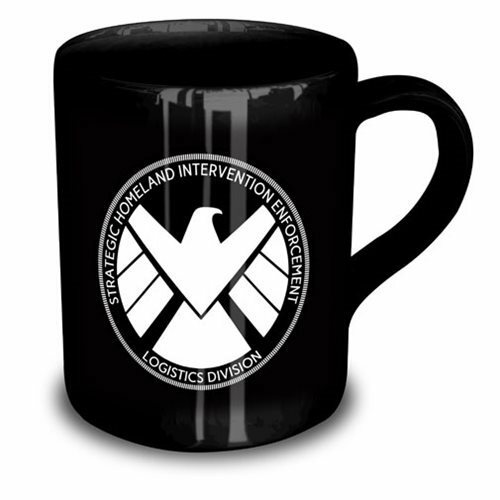 Support your side with this Agents of SHIELD Logo Black Mug! Mug measures 4-inches tall and holds 15 ounces of liquid. Hand wash only. Not dishwasher safe. Do not microwave. Ages 14 and up.